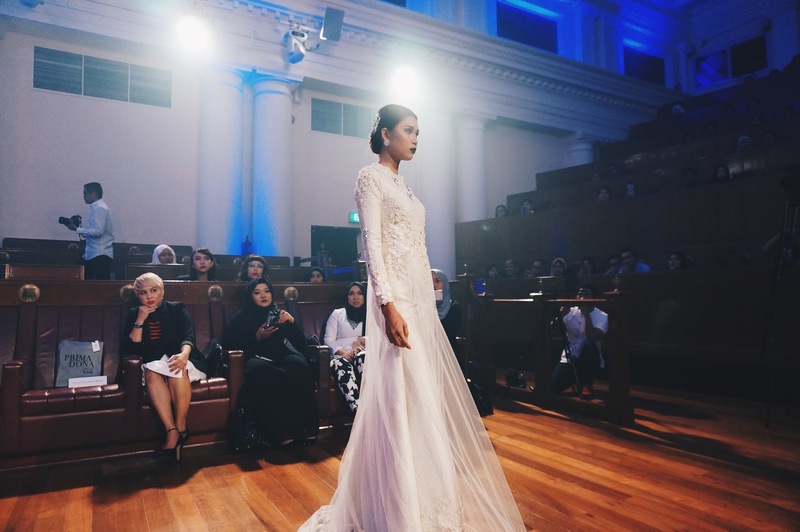 A few weeks back, I had a chance to view Peti Solek's latest bridal collection. 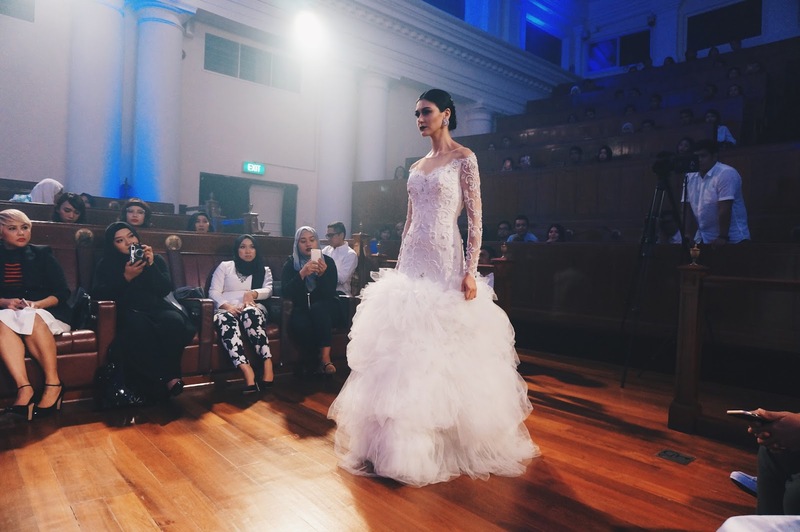 They are one of the biggest bridal in Singapore and while I was there, I can't help but to beam with Malay pride. You can't deny the two founders did really a great job to push themselves to where they are now. 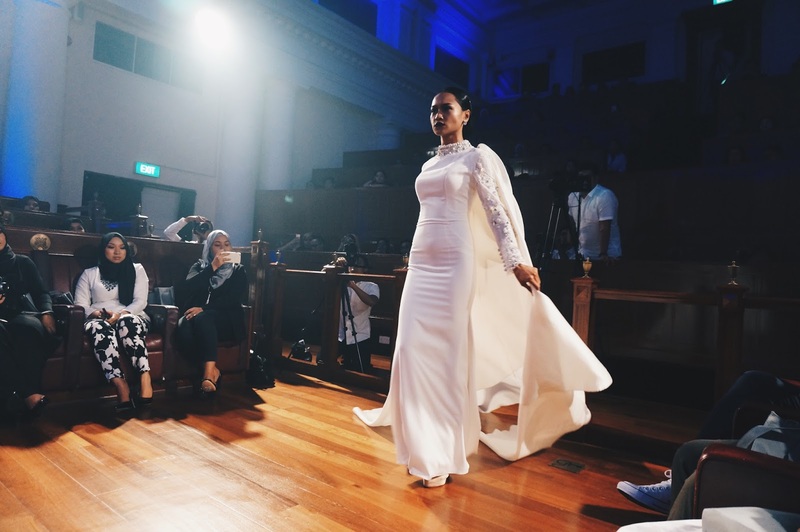 Their fashion show was held at The Chamber @ The Arts House and it was such a perfect venue. They had this dark and mysterious theme going on so The Chamber was definitely the place to have this event. 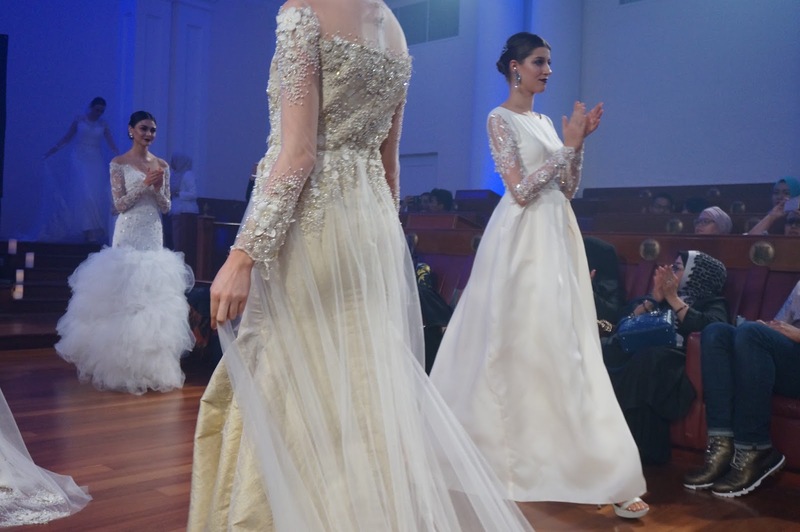 Their dresses were definitely a mix of traditional and western influences. You can't miss the laces and perfect beadings on them. The best part is that all of them are either hijab-friendly or can be converted into hijab-friendly dresses easily. So good news for all of us who wants to don the hijab on our big day! 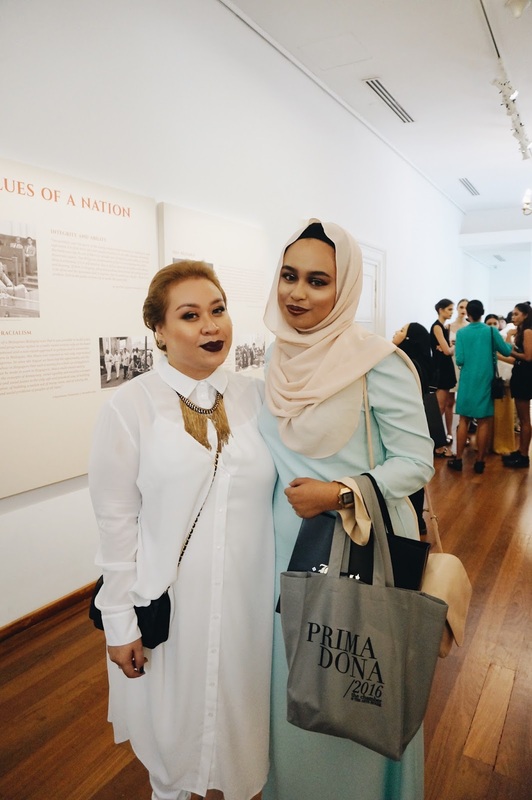 I finally met Qee, who is one of the talented makeup artistes from Peti Solek. 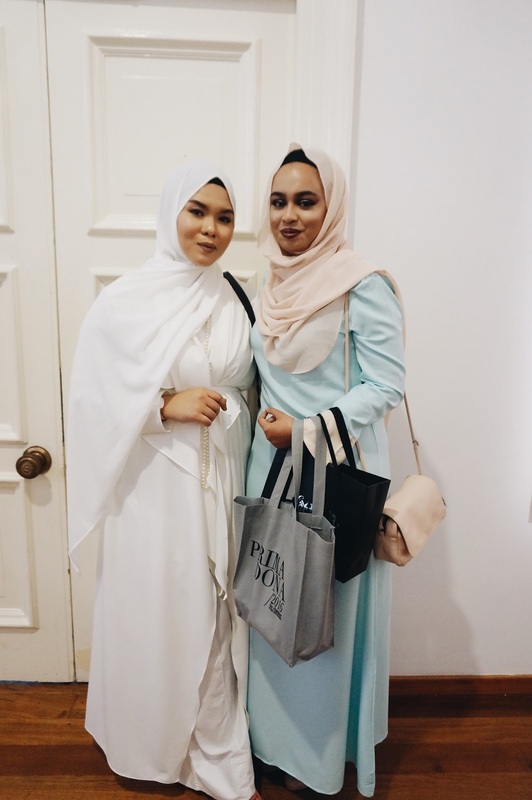 Also had a chance to take a photo with one of the founders, Yana. 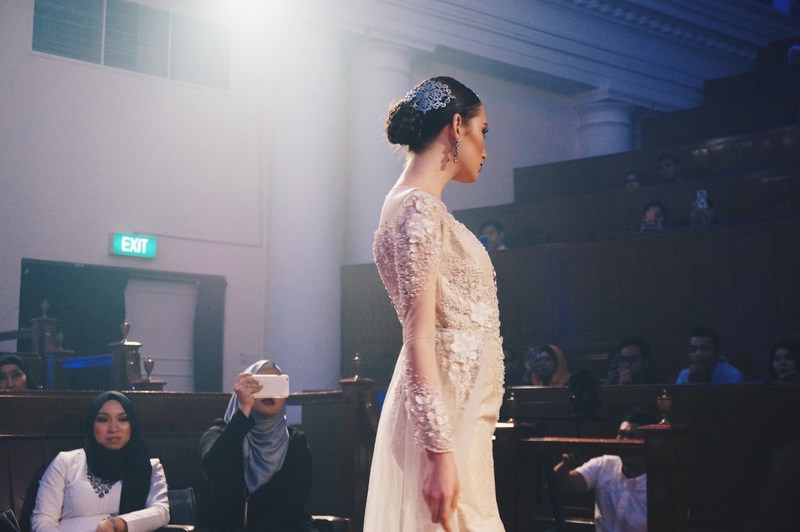 You have to admit that Peti Solek is one of the bridals with a great team of MUAs. When I asked my friends who chose Peti Solek, one of the most common reason I got was that they love their makeup. Here's my MOTD and OOTD. I went crazy with the glitter!! It's from Australis by the way. I saw it at Watsons and I was so in love with it, I grabbed it immediately. It's crazy pigmented but you need to be very careful while applying because it will end up all over your face. So a tip is to do your eye makeup first before your face because you will definitely need to clean up.